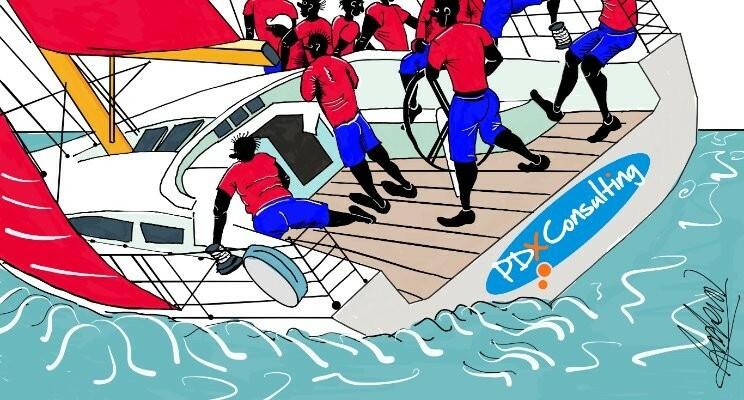 Do high-performance teams really exist? It seems that very few people I talk to about this topic have ever worked with one. However, those lucky ones that claim to have speak about it with joy. So, are high-performance teams fact or fantasy? Read on to find out more. Let’s begin with a definition of high-performance teams. This term refers to teams, businesses, or groups that focus on their goals, achieve superior business results and outperform all other similar teams and expectations. Well to kick off, a Global and Development Director (and a friend of mine) prefers to develop functional teams. She defines these in managerial terms such as ability and skills, clear roles, duties and reporting lines, deliver against a clear strategy and have good communication processes. In this way, she affirms that for 20% effort she gets an 80% return. Whereas to reach for high performance in her business may only be required for less than 20% of teams. So, she then turns to experts (like me for example) to fulfill high-performance team development programmes when needed. Leadership gurus and authors point us to learn softer skills to a achieve high performance. Patrick Lencioni, for example, holds that teams mature by working through their dysfunctions first. Richard Barrett, uses a values-driven approach. He argues that teams need to move away from basic fear, survival, and ego-driven needs towards growth values such as to find meaning, make a difference and have a purpose. Daniel Goleman, coined the phrase Emotional Intelligence as an effective way for teams to learn how to perform at their best. Bob Chapman, CEO, and author believes that leaders can create workplaces in which everybody connected with that enterprise thrives and that everybody matters. On a practical note, in the past, I have been lucky enough to have lead what I (and others) deemed to be a high-performance team. I still look back on that time with joy. Also at the time, we worked for a thriving, stable and well-resourced FTSE 100 company in an economy that flourished. We also believed in each other and growing and developing through the experience of being involved in something important and of purpose. Furthermore, we had all benefited from first-class in-house soft skills programmes that matured us. Today, in my development work with leaders, managers, and teams I have noticed that to build a great team is more than functional business processes, KPI’s and metrics. While they are of course vital for business effectiveness, they are not the be-all-and-end-all for high performance. (Note that few of those are present in the above success factors). I believe that great teams transcend these things. Even if individual team members are highly skilled or talented, that does not mean they will make an effective team together. Those are different skills. 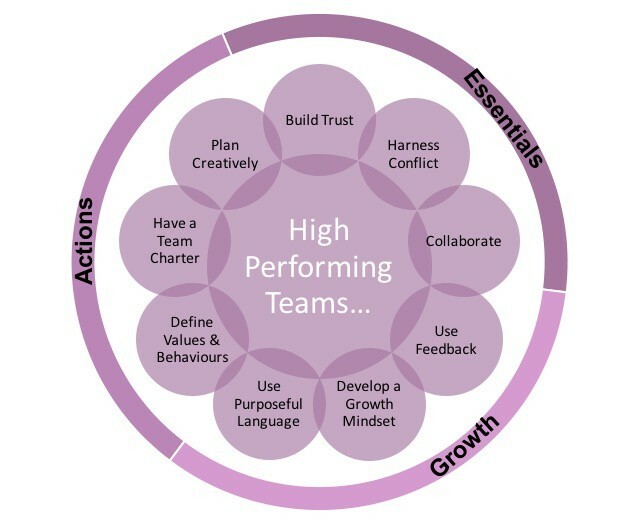 So, how do you build high performance teams? What’s the secret? To make a real difference, you have to work together to create an excellent high-performance team. It’s not about some extrinsic magic formula that you apply from the outside in, however. Nor is it about a team full of the cleverest people. You cannot become a high-performance team that way. It does mean you must have the right purpose, people, skills, input, direction, management processes and environment. Moreover, however, it is about people growth from the inside out. That means personal development around soft skills and emotional intelligence. It also means shedding a fixed mindset and instead encouraging a growth mindset (see my latest book below). However, ability and experience need to exist too (that’s a given). The good news is it is possible to learn these types of intrinsic soft skills. Don’t be mistaken; this is not a namby-pamby or fluffy process, however. Not at all! To develop people and teams from the inside out requires a willingness to mature and grow as individuals and as a team. That takes courage, time and some effort to nurture these. Commit to growth as a team. The other benefit of high-performance teamwork means that you can then get on and run a successful business. Furthermore, you will not have to waste so much time on countless people issues. Third, agreed on team values, healthy habits, and behaviours create team spirit. A Team Charter, for instance, helps teams to commit to the fundamentals and reminds them how to collaborate effectively. Also, teams that plan together in creative ways to grow, provides purpose and direction to the business and is a critical leadership task. Besides, big goals keep teams motivated. Use the Team Trust Review Assessment to help launch a step function improvement in the way your group works together.